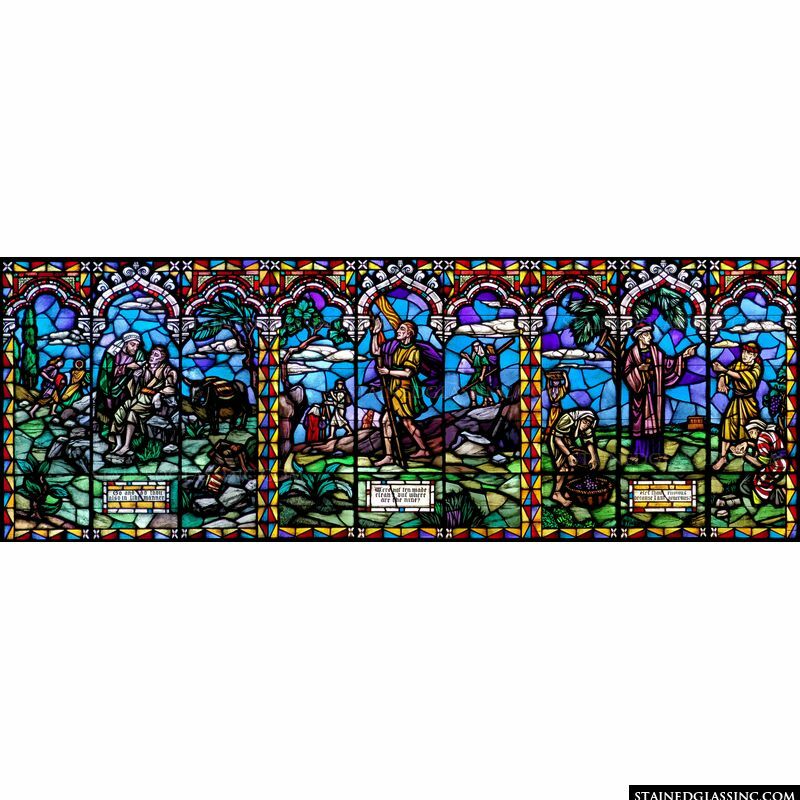 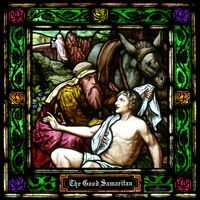 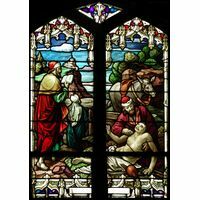 A colorful, ornate frame borders this stained glass window panel, which features three of the parables taught by Jesus. 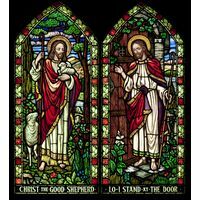 Inspire your congregation by displaying this work of art in your sanctuary or enjoy it at home, reminding all who view it of Christ's incredible teachings as He guided the growth and care of the flock. 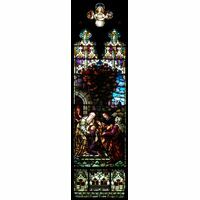 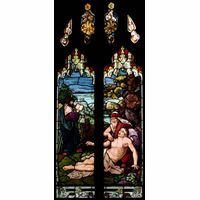 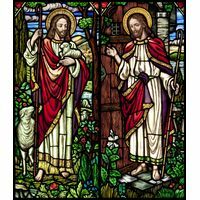 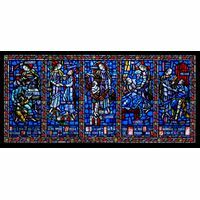 The stained glass artists at Stained Glass Inc. have created a unique stained glass work of Christian art that can be used as a standalone window or as part of a group of themed stained glass windows.